Uber Quit, Will TuSimple Succeed? Based on the triumph of deep learning, the majority of TuSimple's sensors are camera based. A TuSimple Heavy Truck. PHOTO: Credit to TuSimple. It’s been no more than ten months since Waymo, the self-driving car spinoff of Google parent company Alphabet, launched a robot truck project in Atlanta with Google, and Tesla Semi trucks were spotted on their first cargo trip. Not even mention the increasing number of companies bet on the future of commercial truck including Daimler, General Motors and Tesla, etc. The ride-hailing behemoth Uber's efforts in autonomous truck have been impaired a lot due to the legal fight with Waymo in 2016, and whose plan back on trucking on March 2018 and ended four months later. The race to manufacture self-driving trucks just got a little less crowded. Getting started: Why autonomous heavy truck? Chen Mo, co-founder and chief executive officer of TuSimple started his business simultaneously in both San Diego and Beijing three years ago, as both America and China feature a trucker shortage and huge cargo transportation demand. He is not the only one who sees the opportunity, obviously. The competition on purpose-designed autonomous technology is extremely fierce. There are three main kinds of major players including tech giants, OEMs and startups. First, tech giants like Google, Baidu, Uber, and Tesla, who have large groups of customer, which led to their first and biggest vision is either to create an autonomous passenger car or providing ridesharing service, or (if there is something about logistics) commercial delivery applications dedicated in "last-mile". Second, OEMs, like Daimler, General Motors, and Toyota, you may hear them about their self-driving vehicles for on-demand robotaxi services, few OEMs will jump into the rival of autonomous truck owing to large operational costs and high risk. Last, the startups, let’s cut them into two sides. One is deeply related to Google and Baidu, for example, Pony.ai, whose CEO James Peng —the former chief architect of Baidu (which itself is making big inroads into car system). As we discussed before, it is not hard to draw to the conclusion that this companies’ missions are very much like Google and Baidu—autonomous passenger car. And finally, let’s draw our attention back to TuSimple, belonging to the other side of startups, who focus on commercial trucking at first. The race there is relatively mild and they can get a shot at taking on the industry leader. 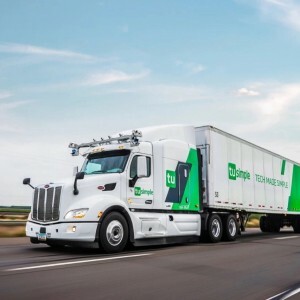 Two recent shreds of evidence reported by Forbes shows that TuSimple seems to reap the first-mover advantages on the long-haul autonomous truck technology. On 31 August 2018, the company announced its a much-needed breakthrough with a vision system that lets trucks see and track vehicles on the highway up to 1,000 meters ahead, which any other system fail to achieve. And the story is not just about distance. On 1 Nov, TuSimple released a video that showed one of its truck operating smoothly on public roads outside Tucson during an apparent heavy downpour without ANY intervention by the technicians in the truck, as the truck contended with wet roads or stopped at a rail crossing to wait for a freight train to pass. No wonder why they think it may have an edge on Waymo when it comes to driving in heavy rain. Discuss on Lidar has a long history. In 2016, Tesla claimed it chose not to use Lidar as one of the sensors on its cars to assist with its autonomous features, instead, Google used Lidar as one of its dominant sensors and insisted it's necessary. Lidar is an acronym of Light Detection And Ranging, (sometimes Light Imaging, Detection, And Ranging) and was originally created as a portmanteau of “light” and “radar.” Lidar works well in all light conditions but has a difficulty dealing with extreme weather. The higher range and resolution the Lidar system is, the more it costs, which is often thousands of dollars and obstructs startups from a mass experiment. Today, some companies have already somehow managed the problem. Hou Xiaodi is the co-founder, chief technology officer, U.S. unit president of TuSimple and a Caltech-trained cognitive neuroscientist. It is distinctive that typical tech startups deploying artificial intelligence to drive vehicles whose founder or CTO is commonly computer-science-backgrounded. Hou found a greater reliance on high-definition camera than Lidar under extreme circumstances and trained perception system to identify objects properly. Aside from that, Hou uses deep learning a lot, consuming a huge amount of computer resources. Moreover, a conjugate algorithm is needed to reach a stable result, which will require more computation. It turns out that there will be a lot of graphic cards used in the automotive chassis. Nvidia makes all this happen. “Based on the triumph of deep learning, the majority of our sensors are camera based. With the camera-based sensors, we can actually beat the performance of some of the Lidar performance, using them as pure cameras.” Said Hou. The company is doing a lot of research and road testing in China and America. According to China Knowledge, they secured a road test license from both the California Department of Motor Vehicles in June last year and Shanghai officials on 19 October 2018. They also marked 100 days of safe operations of its autonomous driving trucks in July this year. The trucks had transported 5,000 fully-loaded containers. It’s essential for the company to gather and pick up information when they operate road-test to perfect the autonomous system. 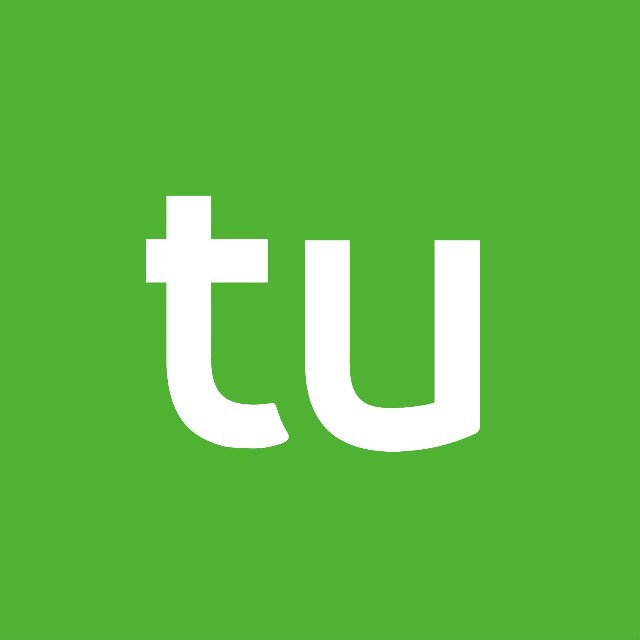 TuSimple is an innovative technology company that is devoted to the development and application of artificial intelligence and computer vision technologies.